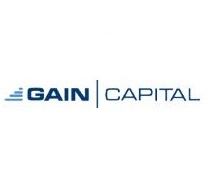 New Jersey headquartered Gain Capital Holding Inc, (GCAP), operator of numerous brands including online brokerage forex.com, has just reported Q1 earnings ahead of its live broadcast scheduled for 5pm EDT. The company disclosed its total revenue after the market close for its first quarter of this year, and will hold a conference call in less than an hour, Forex Magnates is planning to cover it live, with this post scheduled to be updated in real-time (refreshing the article will show the latest changes). Despite the lower net revenue reported for Q1 the company saw higher trading volumes for the period both on a year-on-year perspective and over the prior quarter, as retail OTC rose $58.3 billion or 11% higher over Q4, as seen above, and totaled $566.3 billion for Q1 2014. Institutional volumes were also stronger reaching $1.3 trillion for the first three months, up 18% over Q4’s total of $1.1 trillion, an increase of $200 billion quarter-over-quarter. Forex Magnates recently covered when GCAP released its 2013 annual report, and when its final month in the last quarter had shown a recovery over February’s drop. This increase in March may have helped the company avert a worse quarter-over-quarter change (compared to Q4 2013), as was just revealed. 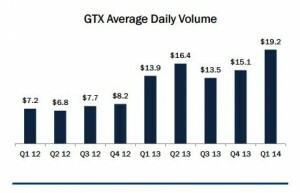 From a year-over-year perspective -which may be less important to short-term speculators of the firm’s public stock- the figures reported today will also be compared for the sake of gauging the firm’s direction over that time frame as well, as Q1 2013 is compared to the quarter reported today. 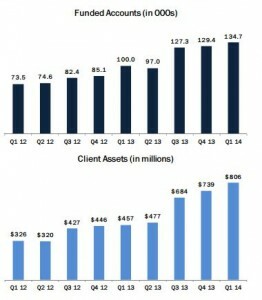 It’s noteworthy to recall that January 2014 had started off strong for the company when compared MoM and YoY, with nearly 40% increases respectively, although net revenue wasn’t sufficient enough to beat the total of the prior period as both net revenue dropped almost ten percent, and net revenue hit even harder, as shown above. Recent Related Activity in U.S. Recent news that could be excluded in the results, since they occurred in the second quarter, although some of which were talked about by the firm’s CEO who commented in the official press release as seen below, and which could be mentioned about in the call later, include the acquisition of Galvan Research, and the green light by the CFTC for the company’s swap execution facility under the GTX SEF entity, both announced in April, and shortly after the firm’s CEO cashed-in about a tenth of his stake in the company. GCAP shares were trading near $10.00 today then closed down sharply falling over 3% or 30 cents as the closing bell approached on the NYSE. GAIN’s Board of Directors declared a quarterly dividend of $0.05 per share, to be paid on June 20, 2014, to shareholders of record as of June 12, 2014, as per the official press release. The company’s key competitor in the U.S. FXCM also reported its operating metrics for Q1 today,as well as its April volumes, after it officially announced just yesterday that it had acquired FXDD’s US client base – news that first broke from Forex Magnates after a deal was being inked. A handful of US brokers remain to compete for market share as the space for retail FX could still become attractive if a period of regulatory easing, such as that suggested today by Federal Reserve Governor Daniel Torullo, and recently proposed deregulatory initiatives in Australia, if applied to FX, where capital markets in places like the U.S. could see competition reopen to a larger number of small to medium-size firms, and to a potentially wider audience. 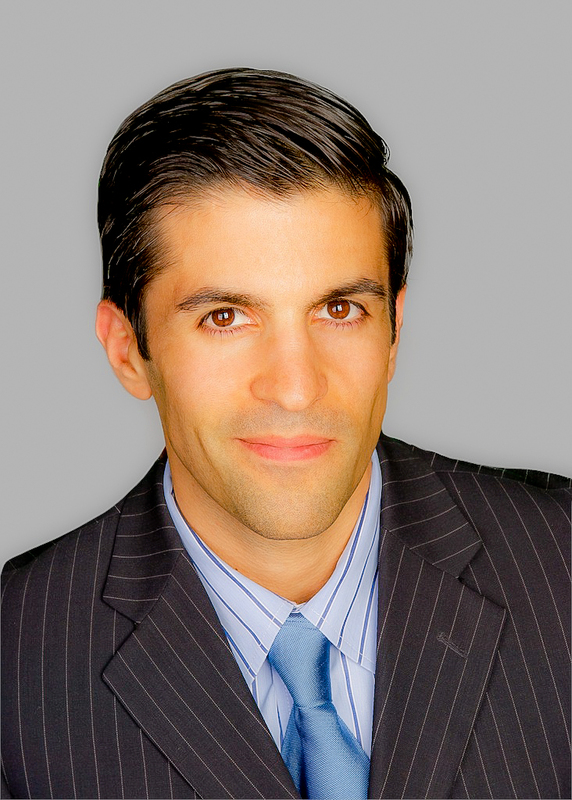 For now that scenario remains unlikely to occur anytime soon, with only the fittest Forex Dealer Members able to comply with the current regulatory capital and compliance demands of the NFA and CFTC, as retail FX industry consolidation continues in the U.S. following the transfer of FXDD’s U.S. clients to FXCM. The company’s futures business is growing with a 20% YoY increase in customer assets to $164 million, explained Mr. Stevens during the call. 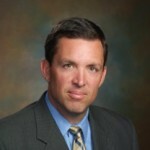 An increase in interest rates globally was expected to add to the firm’s bottom line as it would create volatility, and a divergence in rates could aid to bring the carry trade back and make it more appealing, described by the firm’s CEO before handing over the call to the company’s CFO, Jason Emerson who spoke about cost-savings initiatives underway and which are expected to save the company several tens of millions during 2014. These cost savings were connected to the GFT [acquisition] related synergistic effects, and the consolidation of offices in the U.K and Japan, as subsequently explained in response to an analyst’s question, during the call. Mr. Steven replied to a different analyst explaining how the momentum in growing volumes, helping the company acquire market share is causing a chain reaction where the momentum begets momentum, and dealers wanting to join as well, after certain volume thresholds were met, and also cited EBS, ICAP and companies like Reuters and how he wasn’t sure whether their recent respective drop in volumes was being reflected in Gain’s increase in market share, and shortly after those comments the call concluded.